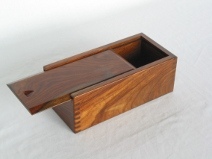 Looking for a chess set or chess accessory? You have come to the right place. 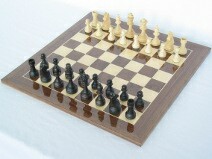 We carry a wide range of chess products including exquisite handmade unique chess sets from around the world. We have detailed photographs of all our chessmen and chess sets, so you can see the craftsmanship of each product before you buy. Top quality. Unbeatable prices. Quick worldwide delivery. Experience safe & secure shopping! "Just letting you know we've had some time to play on the board. Its so nice. Thanks for helping me make the right decision. Definitely no regrets." New to Chess? Click here for a little more about the game. Chess is a marvelous game that began in India more than 1500 years ago. Although chess rules are simple and easily learned by anyone over the age of six, the key to winning is the ability to think strategically by anticipating and countering an opponent’s moves. Chess is not just a game; it’s a battle between two powerful armies. 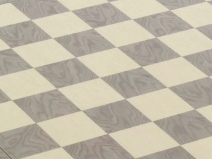 Chess boards are an 8 x 8 matrix of 64 squares. Each player has 16 pieces of varying powers that start the game lined up in a prescribed order along the two back rows facing each other across the battlefield. The game begins when the first white piece moves. During the course of play, pieces may be captured and removed from the board. The goal of the game is to corner the opponent’s king and force his surrender. If it’s impossible to immobilize one of the kings, the game ends in a draw with no declared winner or loser. 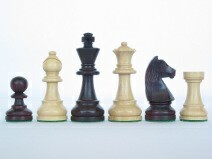 Chess sets come in a variety of styles and prices to fit all lifestyles. 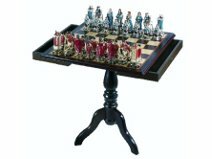 The connoisseur can purchase elaborately carved thematic pieces with elegant wooden chess boards, while the outdoor enthusiast may prefer a magnetic set that’s ideal for windy days. Chess develops strategic thinking, strengthens one’s ability to focus and teaches participants the hard lesson that no one can win every time. This is a game of skill unrelated to age or gender. It’s a game for kings and schoolchildren. The United States Chess Federation is the national chess organization that rates members who play in approved games. Its online website lists participating clubs and upcoming chess tournaments. This site also covers some of the basic rules of how to play chess. Take some time to browse through the content and become familiar with this congenial community.